Average 4.67/5 out of 18 total votes. Volume 2. Comic superstars Mark Waid and Fiona Staples reimagine an icon! 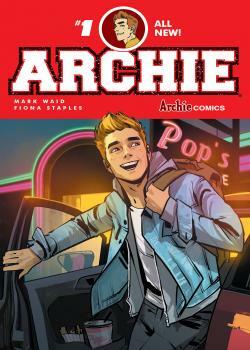 Change is coming to Riverdale in this can't-miss kick-off to Archie's new ongoing series! Familiar faces return in new and unexpected ways in this must-have #1 issue! As the new school year approaches, you'd think Archie Andrews would be looking forward to classes and fun-but nothing is as it seems in the little town of Riverdale. But is this a one-off or a sign of bigger changes awaiting for America's favorite teens - and the entire town? Find out in this exciting and remarkable first issue!